Hey everyone, this here’s your old Uncle Sadjunk, and I gotta tell you, I love digging for comic books. That grit you get on your fingers after flipping through hundreds of books, and the aching back from being hunched over rows of longboxes – all worth it for that one win, that one book that you score for such an unbelievably low price that nobody will believe you even when you tell them. Now, I define dollar books a little loosely. For me it’s a book priced within the $10 range, which is what three modern books will roughly run you anyways! I frequent one store with discount longboxes full of silver age, for instance. Nothing in it for a dollar, but when I found a nice copy of Aquaman Vol. 1 #11 for $10 in one, that was pretty much a giveaway price. I aim to keep you informed about the hot books that I am regularly coming across in dollar or back issue bins. Some of them are going to be books that have already been specc’d on by my fellow contributors here on this site and elsewhere, and certainly are selling for high prices online and in some stores. That doesn’t mean they aren’t out there waiting to be had for a couple of bucks! 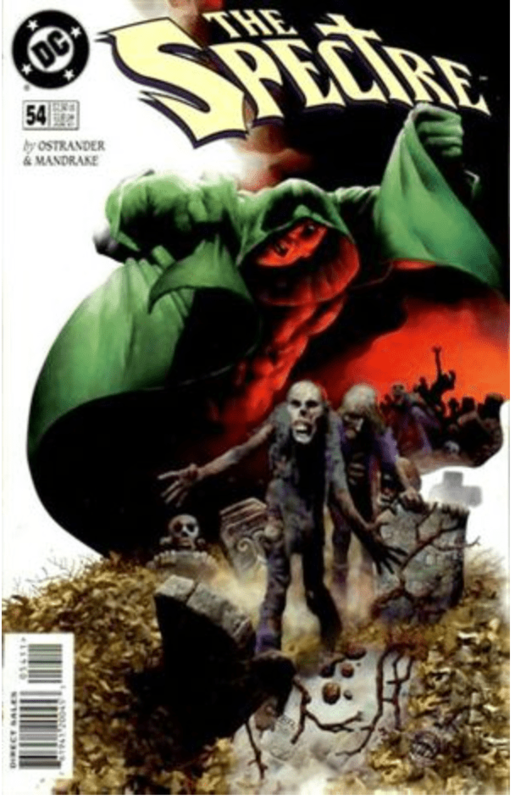 Here’s a book that you should be scouring dollar bins for, because you sure as hell can’t find it online cheap: The Spectre #54, Vol. 3, which features a fantastic Richard Corben cover and the first appearance of Mr. Terrific II (Michael Holt). There’s no movie in the works with him appearing in it, but this has quietly crept up in price, now selling online for upwards of $50. Several stores I contacted reported that people were calling to ask if they had any Spectre back stock. Holy Spirit! Most likely any will be in the dollar bins. I located my copy for 50 cents in the last LCS I randomly checked out for the day, and also managed to get issues 60, 61 and 62 from the same run, which are getting snapped up too. I really like these covers. I think #54 and #60 are forgotten classics that should be in any collection. X-Force Vol. 1 #19 – There are a number of stories speculating that Morena Baccarin will play Copycat in the upcoming Deadpool film. Well, that has people diving into dollar bins in earnest for Copycat’s first true appearance, especially the book flippers. This book is selling for $10 online and even higher… Don’t do that. 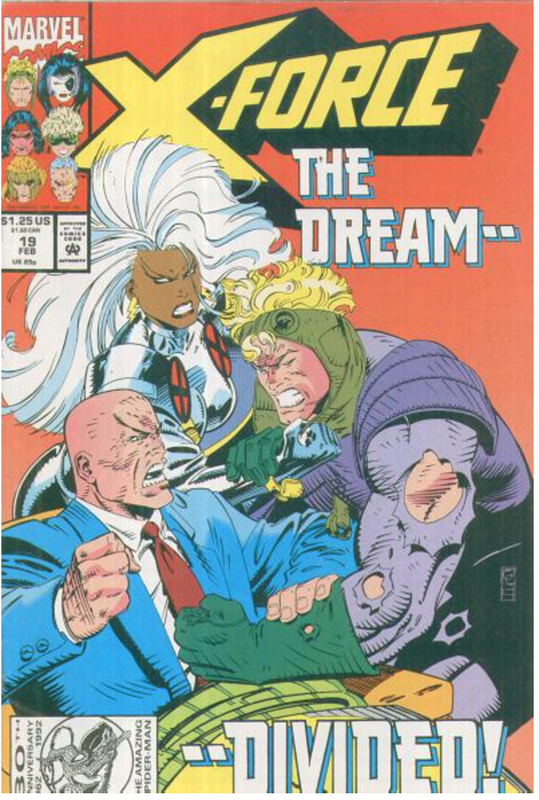 X-Force issues from the 90’s are rightly represented full-force in dollar bins across the world. I just grabbed an excellent copy from one for 50 cents. Get off your duff and find a cheap one already. Wonder Woman Vol. 2 #7 / #9 – Some serial hoarder / flipper types are buying these two books by the truckload because they are betting that the Barbara Minerva version of Cheetah will be Wondy’s big bad in her solo film, and they hope to sell you one at a drastically marked up price. Why pay more? This book can still can be found in back bins and dollar bins for $1 to $3, though supply is beginning to dry up because of the aforementioned hoarders. Find your copy cheap, unless you like paying extra. If so, I got some bills you can cover for me! 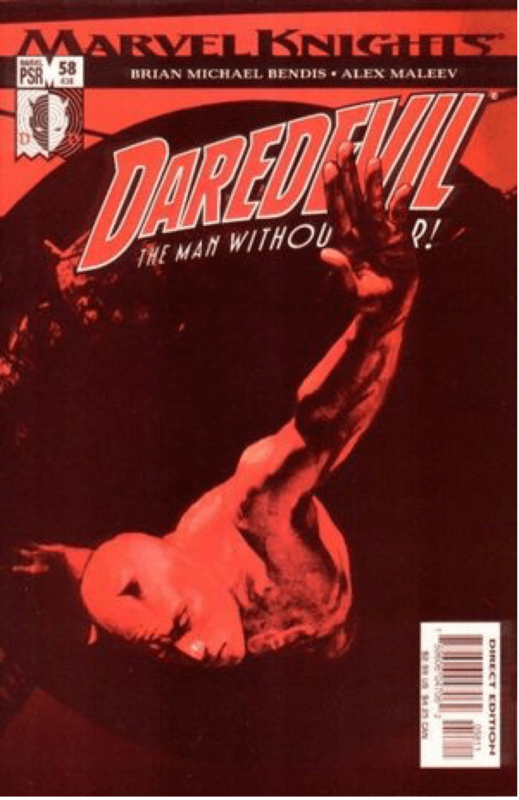 Daredevil Vol. 2 #58 – So gang, didja hear that Rosario Dawson is going to be ‘Night Nurse’ in the Netflix Daredevil show? Not wearing a tight little white dress, though, rather your modern nurse garb of blah clothes and fuchsia latex gloves. Yeesh! 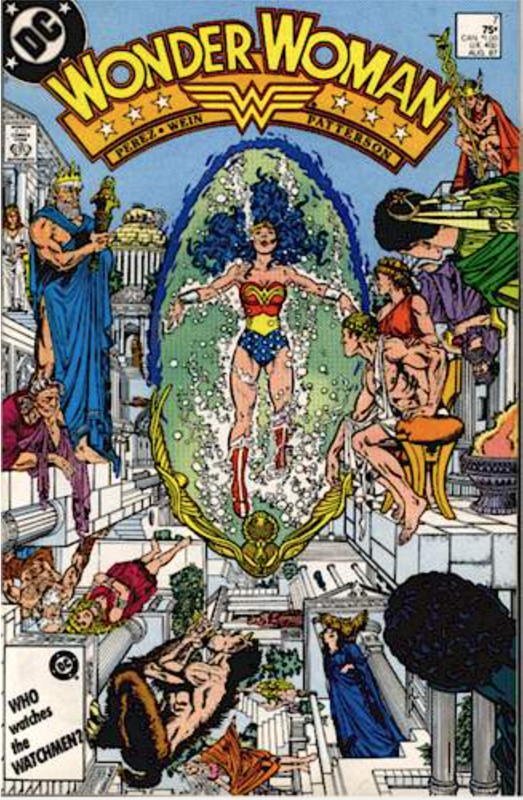 Well, this book is noted as the character’s first modern appearance, in addition to being the first appearance of Angela Del Toro, who later takes up the White Tiger mantle. Some folks are already asking $30 online for this book. Only a matter of time before everyone else does too. Don’t wait until then. Easily found in dollar bins for a buck and in back issue bins for cover or less. 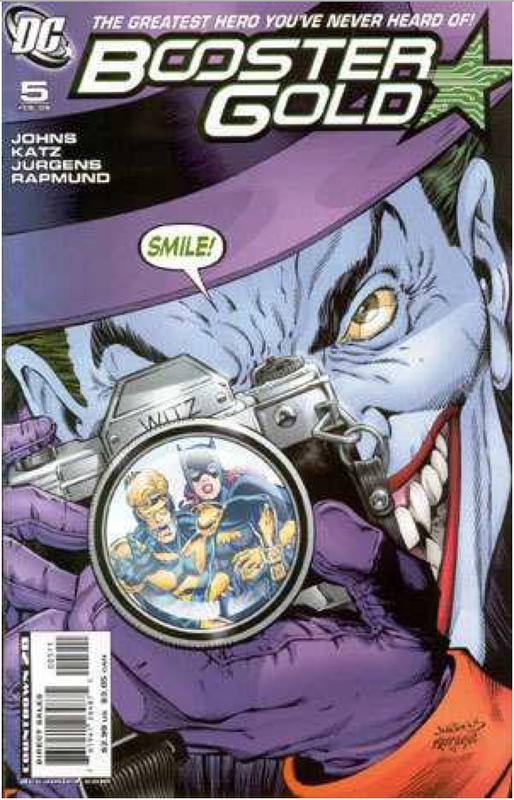 Booster Gold Vol.2, #5 – I noticed people are hot into collecting The Killing Joke / awesome Joker covers (i.e. Andy Kubert's last two variants in Batman #38 and #39) and Oracle / Batgirl, both her first appearance in Suicide Squad and the recent Secret Origins #10. Well consider this overlooked book that offers all three elements, and is an easy find in dollar bins and back issue bins. I gotta ask, why pay a fortune for an awesome Joker cover and Batgirl/Killing Joke tie-in? Finally, what would a column about dollar bin divin’ be without a good yarn? This week’s unbelievable find comes from Marcus Miller in Pensacola, Florida. Mr. Miller says he routinely checks out an LCS there that is packed to the gills with longboxes. It’s not a professionally run outfit, more of a longbox graveyard that wouldn’t be out of place at a flea market. He started making sure he would stop by after discovering the first and second appearance of Doomsday and the first appearance of Archangel, each $1. On Wednesday, Mr. Miller was rifling through the books and found a V for Vendetta #1 for a buck. Not bad. He kept flipping. And then he hit the motherload. An excellent copy of Batman Adventures #12 for a dollar! He still couldn’t believe his luck after buying the pair and hightailing it out of there, afraid someone was going to stop him before he got out the door and ask him to return it. Go ahead and call b.s. on this find, Mr. Miller adds. I want to hear all about it! But be sure to send pics and proof of purchase price. Until next time squirrels… I’LL BUY THAT FOR A DOLLAR! Awesome, what this site needs! Good job! Great write up simon! One of the other $1 books I would add to Spectre #54 is #62 the last issue in the series. Starting to pick up some heat. Great job. I love reading dollar bin stories. It keeps me motivated! Nice, Ive had a few great dollar finds, but nothing on the level of BA12. Nice write up. Most of those books could definitely be found in most bins supercheap. The “Crazy Dollar Bin Story” at the end is a nice personal touch to keep us motivated. Good write up! This is so awesome! Dollar bin digging has helped me pay for food, gas, and fun as I make my way through college. I love hearing other peoples’ success stories. Look forward to sharing some of my own!